The Galaxy Tab S4 is Samsung’s flagship tablet device launched in August 2018. According to the Korean tech giant, it’s the “most powerful tablet” on the earth. Anyway, if you own this device and want to install TWRP recovery and root Galaxy Tab S4 2018 with model number SM-T830 and SM-T835 running Android 8.0 Oreo firmware, we got you covered today. Just follow our detailed step by step tutorial to achieve root privilege on your all-new Galaxy Tab S4. Thanks to ashyx for providing the files required for rooting. The Samsung Galaxy Tab S4 is undoubtedly very competent and powerful device but by installing a custom recovery like TWRP and rooting it, you’ll be able to enjoy and unlock more features and customize your tablet better with the help of Xposed and Magisk modules, and Substratum. Once you install a custom recovery and root your Galaxy Tab S4, it’s warranty will be voided and KNOX counter tripped. Though the steps described below have been tested successfully and we have taken all care while putting down the rooting instructions, we don’t claim it’s 100% safe. The success of any tutorial depends on how carefully you follow it. Also, make sure your Galaxy Tab S4’s model number is either SM-T830 or SM-T835. Okay, if you have made up you have your mind to proceed, download the Odin tool, TWRP, Magisk and boot encryption disabler files from below. Besides, you also need to do a few precautionary things before you jump into the action. Okay, if you have made up you have your mind to proceed, download the Odin tool, TWRP, Magisk and boot encryption disabler files from below. Make sure you have installed Samsung USB drivers on your PC to avoid any connection issue. Go to Settings> Developer options and enable USB debugging and OEM unlocking. In case you don’t find ‘Developer options’ under ‘Settings’, follow the instructions given here. Make sure that your Galaxy Tab S4 is amply charged. During the procedure, your device’s internal storage will be wiped, so don’t forget to back up everything before proceeding. Use the original USB cable that came with your Tab S4. Preferably, you need to insert an external microSD card in your device or at least a USB OTG. In case you don’t have any of these, you can still proceed. Having downloaded the required files and taken care of other things described above, you are all set to install TWRP Recovery on your Galaxy Tab S4 2018 and root it. Extract the downloaded Odin3_v3.13.1.zip, open it and launch Odin3_v3.13.1.exe file. Place all other downloaded files on our desktop so that you can navigate to them easily. Copy TabS4_oreo_forced_encryption_disabler.zip and Magisk-v17.1.zip to the external SD card or to the USB OTG. In case, you don’t have a memory card, copy these files to the device storage. Turn off your Galaxy Tab S4 and boot it into the Download or Odin Mode. You can do so by holding the Volume Down + Volume Up + Power keys simultaneously for a few seconds. Release the keys when you get a screen with an exclamation sign. Press the Volume up button to enter the Download Mode. Now connect your Tab S4 to the computer using the USB cable. The ID:COM Port on Odin with be highlighted and you’ll see Added!! in the message box to indicate successful connection. Now click the AP button on Odin and add the T830XXU1ARH8_dmverity_patched_boot_permissive.tar file to it. Hit the Start button to install the file. 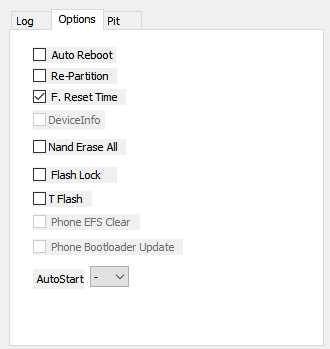 When it’s flashed, your Tab S4 will reboot automatically. Close Odin window and disconnect the USB cable. When your device boots up, power it off again and reboot into the Download Mode the same way as you did before. Your Tab S4 is now ready to permit a custom recovery to overwrite the stock recovery. Relaunch Odin and connect your device to the PC again. Click AP section, navigate to the twrp_3.2.3-2_sm-t830_26918.tar file, select it and click the Start button. TWRP recovery will be installed on your Galaxy Tab S4 and you’ll see PASS! message to indicate a successful installation but this time, your device won’t reboot on its own. Just disconnect the Tab from PC and close Odin and then hold the Volume Down and Power buttons at the same time. As soon as the screen turns off, quickly change to Volume Up + Power button. Keep both the keys pressed until your device enters TWRP recovery. Now tap the Install button in the TWRP menu, locate the TabS4_oreo_forced_encryption_disabler.zip file and install it. Flashing this file will disable Samsung’s forced encryption and TWRP will be able to mount the data partition of your Tab S4. Okay, now need to format the Data partition (doing so will wipe your device’s internal storage as warned previously). 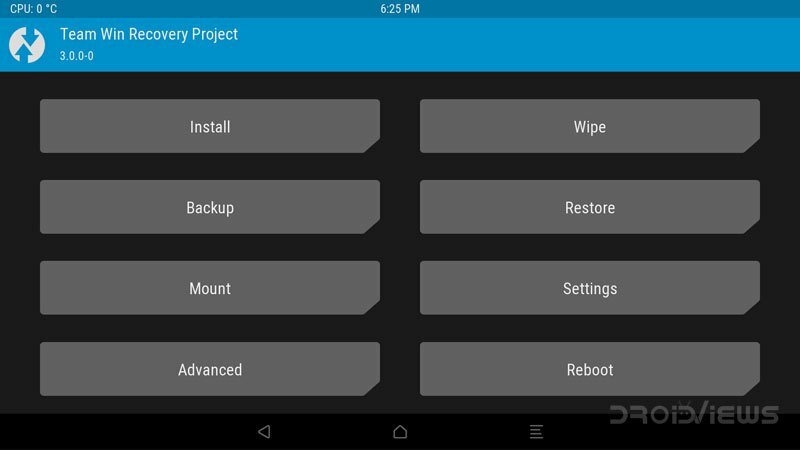 Go back to the main menu in TWRP and tap the Wipe> Format Data and type “yes” to confirm. Now go back again and select Reboot> Recovery. Doing so will reboot your Tab S4 back into the TWRP recovery. I hope you already copied Magisk-v17.1.zip to the external SD card or USB OTG as instructed above. If not, connect your Tab S4 to the PC via a USB cable while it’s booted into TWRP and copy Magisk-v17.1.zip to your device. Now tap the Install option in TWRP and flash Magisk. Having flashed Magisk-v17.1.zip, go back to the TWRP main menu, tab Reboot> System option. Done! You have successfully install TWRP recovery and rooted your Galaxy Tab S4 2018 (SM-T830/T835) on Android Oreo firmware. When your device boots up, open the app drawer and launch the Magisk Manager app. Enjoy root on your Tab S4 2018.